The Buick Cascada is an all-new entry to the Buick lineup. The fine folks at Buick have been rather busy of late, prepping a number of future models and upgrades that have us very excited for the future of the brand. The latest in this onslaught of modern Buick models is the Cascada, and it’s the first convertible to grace the division’s product portfolio in a quarter century. The 2016 Buick Cascada is powered by turbocharged 1.6-liter four-cylinder engine that produces 200 horsepower and 207 pound-feet of torque. To be sure, these are strong numbers for such a small engine. Power is diverted to the front wheels via a six-speed transmission. We’ll get to the Cascada’s impressive design in a moment, but what really stands out is the convertible’s comfortable, smooth ride. Whether the soft-top is up or down, you’ll feel the unmistakable thrill of the open road. And feel the thrill you will, thanks to a sport lowered chassis, StabiliTrak technology, 20 inch wheels and HiPer Strut suspension that ensure your ride is as responsive as it is smooth. Buick has always taken a more inclusive approach to luxury, which is evidenced by the Cascada’s welcoming price point and long list of standard equipment, which ranges from a power-operated convertible soft top, adaptive xenon headlights, and heated mirrors, to rear parking sensors, remote engine start, leather upholstery, and dual-zone automatic climate control. As a maker of modern luxury vehicles, Buick understands the importance of in-demand technologies. The Cascada incorporates a number of these, including Buick IntelliLink with seven-inch-diagonal touchscreen that lets you play your favorite music or make hands-free calls easily. There’s also a navigation system to help you get to where you need to go, as well as seven-speaker sound system, rearview camera, and OnStar® (with available 4G LTE and WiFi hot spot) telematics. Stepping up to the Cascada Premium adds automatic wipers but the main attractions are the advanced safety features. These include forward collision alert, lane departure warning, front parking sensors, and air deflectors for the front and rear seats. 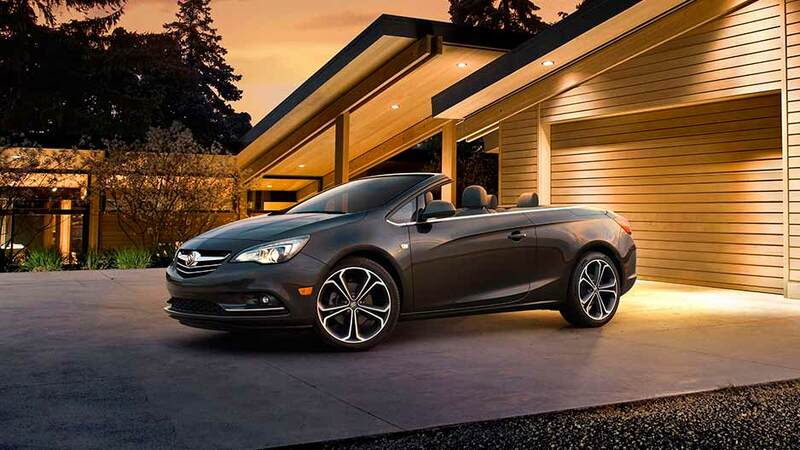 The Buick Cascada is easy on the eyes as it is on wallets, thanks to its cleanly styled convertible bodywork. There is a touch of European influence here too, making it stand out among other like-minded models. Overall, the well-rendered treatment ensures great curb appeal from virtually any angle. The strong presentation continues inside as well. The Cascada’s gauges and controls wrap around the driver in a way that mirrors the rest of the Buick lineup. Soft-touch surfaces, thin frames of brightwork, and soft colors and tones make it a very tasteful place to enjoy top-down driving. The center stack is another high note, and allows for complete control of the vehicle’s various multimedia systems. Overall, the interior is a comforting blend of old-world refinement mixed with cutting-edge technology and modern, driver-focused design. Of course, one of the main highlights of the Cascada is its open-top driving. Well fitted and well designed, the Cascada’s full-power, multilayer fabric top does a superb job of sealing out noise as well as the elements. The top can be cycled up or down in just 17 seconds at up to 31 mph, and tucks away neatly beneath a hard tonneau cover. 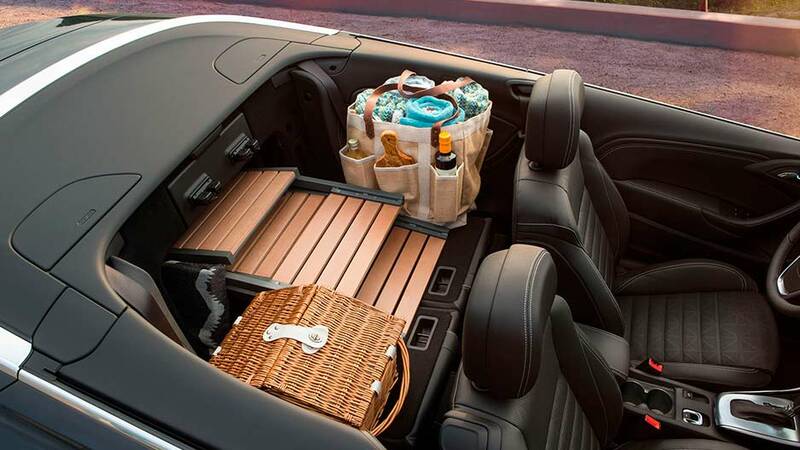 Despite its convertible configuration, the Cascada is also quite roomy for a 2+2. We anticipate many a passenger wanting to experience its charms, and Buick did too, which is why the vehicle’s individual fold-down rear seats help getting in and out a breeze. 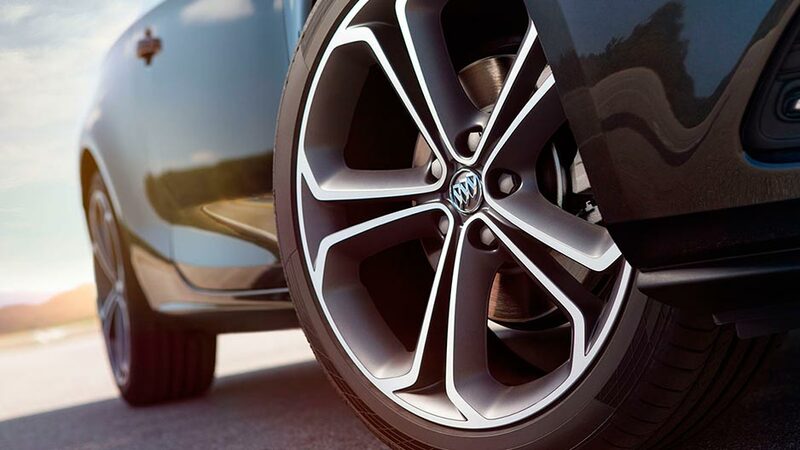 Standard safety features for the 2016 Buick Cascada include antilock disc brakes, traction and stability control, front-seat side airbags and front knee airbags. The Cascada also comes with the subscription-based OnStar telematics system, which can provide roadside assistance, automatic crash notification, remote door unlocking and stolen vehicle assistance. In the event of a rollover, two stout metal posts, spring-loaded and pyrotechnically actuated, pop up from behind the rear seats to provide added occupant protection. All Cascada models also come with a rearview camera, while premium models add additional forward collision and lane-departure warning systems. 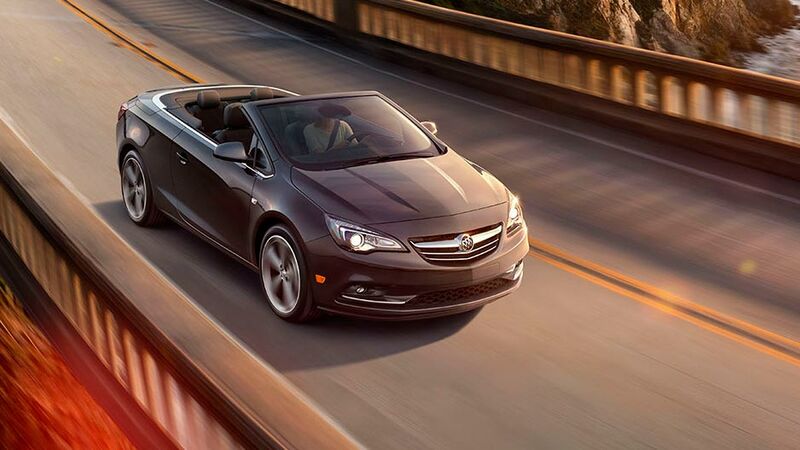 The 2016 Cascada is a feature-rich convertible backed by elegant design and a host of in-demand technologies. If you’re searching for an attractively priced convertible with an emphasis on comfort, the Cascada is well worth consideration. For more information, or to experience the Cascada for yourself, contact us online or visit Rivertown Buick GMC at 1661 Whittlesey Rd, Columbus, GA 31904.